Congrats to Susan F. for being named QuiBidder of the Week for the second time! 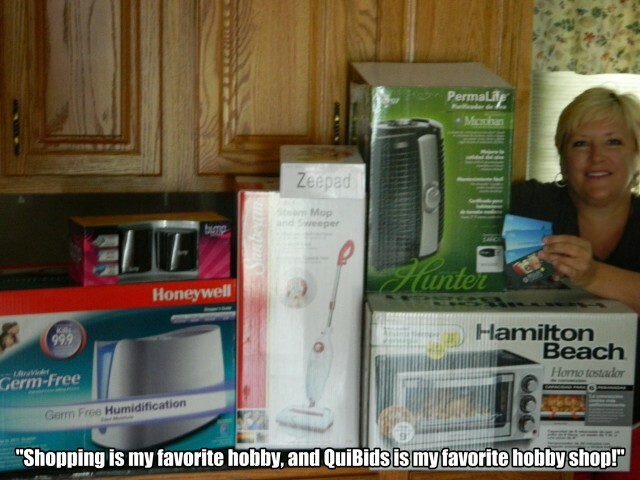 The next time your QuiBids Winnings come in the mail, break out your camera and take a pic with your haul. Submit your photo and answer the questions via the form here and you could win a $50 gift card of your choice and be featured on our blog! Congrats again Susan for being named QuiBidder of the Week, and enjoy your gift card! Be sure to congratulate Susan in the comments below, and don’t forget to tell us your QuiBids story so you can also win a free gift card for being the next QuiBidder of the week.